What to look for when buying a used Ford F-150? The Ford F-150 is the "half-ton" version of the Ford F-Series of pickup trucks. The F-150 is the best-selling vehicle in America. The F-Series itself has been produced in 1948 and is now in its thirteenth generation as a production model series at Ford. The first F-150 was introduced in 1975 with the sixth-generation of the F-Series, sitting between the F-100 and F-250 models as a way around newly-enacted emissions requirements for trucks. When the F-100 was discontinued about a decade later, in the seventh-generation of the F-Series, the F-150 became the lightest-duty full-sized truck offered by Ford. The eighth and ninth generations of the F-Series saw mostly cosmetic and technology improvements with the tenth generation (1997 model year) being the first top-to-bottom overhaul of the F-Series line. The 1997 Ford F-150 was very different from its predecessors, bringing an independent front suspension, a completely rebuilt chassis, the first V6 engine offering, and a V8 option with the first overhead cam design ever offered in a full-sized pickup. This generation of the F-150 also saw the first curb-side rear door which later was added to the other side as well. The F-150 of this generation was also the first truly four-door truck option (called SuperCab) on the market. The eleventh generation of the F-Series brought more changes for the F-150. These were mainly in the chassis and convenience options. The twelfth-generation came in the 2009 model year, bringing much more aggressive "big truck" styling to compete with offerings from rivals at Dodge/Ram and General Motors. In 2011, Ford introduced the first EcoBoost twin turbocharged V6 to the F-150. Ford also dropped the manual transmission option for the F-Series, including the F-150. The current-generation F-150 was introduced for the 2015 model year. This marked the introduction of the aluminum body with a new design language. More V6 engine options were introduced as well, improving fuel economy. As one of the top 20 longest-lived vehicles on the road, the F-150 enjoys a reputation for being durable and long-lasting. Most consumer complaints about the F-150 are related to extremely high mileage (over 200,000) for mechanical issues and at mid-mileage (50,000+) for bodywork issues (door handles and the like). Especially in the previous generation (2007-2014). What is the average price for Used Ford F-150? How many are for sale and priced below market? What Ford F-150 model year and mileage can you get for your budget? Where does used Ford F-150 rank in comparison to competitor vehicles? What Is The Average Price Of A Used Ford F-150 By Model Year? What Is The Average Price Of Competitor Cars To The Used Ford F-150? What Is The Average Price Of Used Ford F-150 In The Top 10 Cities? The 2018 Ford F-150 sees a few changes from the 2017 model year, with a mid-cycle refresh. Most are under the hood, but some visible revisions include the front fascia styling, rear hatch and bumper. The F-150 is the best-selling vehicle in North America, outselling all competitive pickup trucks, as well as all other passenger vehicles. This is a big, spacious, full-size truck with a lot of technology and mechanical excellence to woo the masses. Ford currently boasts best-in-class capability on several fronts, depending on the F-150's configuration. New this year are some engine options, including a change to the base V6 engine and expanded use of the 10-speed automatic transmission introduced last year. Also new are some upgrades to the collision mitigation system. The 2018 Ford F-150 is offered with three cab styles, three bed lengths (depending on cab style) and five engine choices. The 2017 Ford F-150 is America's best-selling vehicle and outsells all competitive pickups by almost two to one. For 2017, Ford added a lot to the F-150, including a new 3.5-liter V6 and 10-speed automatic transmission for improved power, performance and fuel economy. That engine enters the Raptor with an outstanding 450 horsepower of output thanks to some turbo upgrades and engine tuning. The Raptor itself is unique in the class with its extreme off-road equipment and fast-paced styling and power. The 2017 F-150 is offered with five engine choices, two transmissions, rear-wheel or four-wheel drive, and three cab and three bed size choices. When it comes to the F-150, Ford doesn't sit around waiting for the competition to catch up. There is a reason that this is the best-selling pickup truck and one of the best-selling cars in the United States. For 2016, Ford has added an updated infotainment system, the Pro Trailer Backup Assist feature and a new top-level Limited trim. We spent a week in the Limited trim and found that it's verging well into the territory of luxury automobiles, normally reserved for brands with European accents. Driving other models shows that the diversity of powertrain and trim/package options means that there's likely a 2016 F-150 for just about everyone. There's a lot of consider with the 2016 Ford F-150 and a lot of compelling reasons to think of it as a top choice. There are some downsides as well, and the competition in the lucrative full-sized pickup truck market is fierce. Besides being the top-selling vehicle in the United States by a very wide margin, the 2013 Ford F-150 is also the best-selling full-size pickup truck. 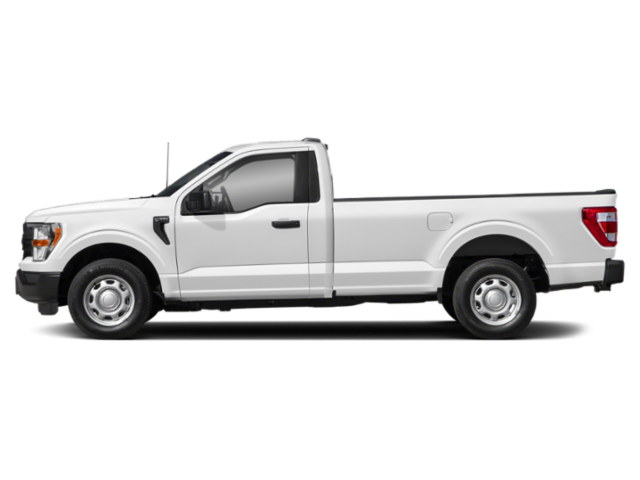 With three cabs, three bed lengths, two each V6 and V8 engine options, the Ford F-150 dominates the large truck market. With a redesigned F-150 more than a year away (probably debuting for the 2015 model year), the 2013 F-150 sports a revised front grille; new features and new top-end Limited trim level.